Get To Grips With Lottoland Lingo! 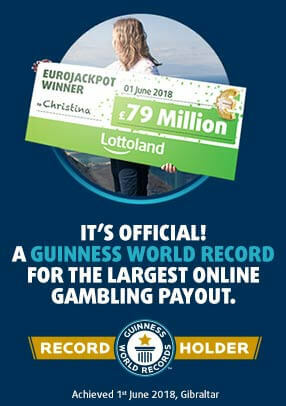 Here at Lottoland we do things a little differently to your average lotto provider. With bigger jackpots, cheaper prices and a whole lot more choice, it's easy to see why people are joining us in their millions. Of course, with all these innovations, you're going to encounter the odd term that is new to you. That's why we've pulled them all together into our very own Lottoland Dictionary, so you can make the most of your lotto experience! Think of a Betslip like an old fashioned ticket, except it doesn't get lost down the back of the sofa, and has a load more features. On our Betslip page you can select your numbers for the upcoming jackpot, decide which additional features to enable, and choose how many weeks you want your bets to run for. One of our most popular features, DoubleJackpot allows you to double an upcoming jackpot with the touch of a button. For example, if the next available Irish Lotto jackpot was a modest £5 million, by enabling DoubleJackpot you could walk away with £10 million in prize money! Our unique NumberShield option gives you the chance to guard your winnings from everyone else. Multiple winners in a jackpot means you'll split the first-tier prize pool between you, however anyone with NumberShield activated will claim a full jackpot! Quick +1, sometimes referred to as Quick Picks, gives you a randomly generated betting line for the next draw. After its generated you can alter the Betslip to modify the numbers, or add further Quick Picks to boost your chances of banking the next jackpot. With JackpotHunt, we will automatically renew your bets until the current jackpot is won, meaning you won't miss out on any upcoming rollover jackpots. This means you can sit back and relax, knowing your lucky picks will be automatically entered. Of course, JackpotHunt can be cancelled at any time, should you wish to opt out of the next draw. Lottery fans love the buzz that comes with a succession of rollovers, seeing jackpots soar to insane levels. When the jackpot is finally won, there is always that sense of disappointment that you missed out, especially as it could be months before the prize money gets that high again. That's why we love to offer Rollover Reloads, where we keep the jackpot at the rollover level for one more draw! If you're a regular Lottolander then you'll have noticed we run a lot of Special Jackpots, where our jackpots dwarf the prize money in the main draw. Unique to us, we frequently inflate the jackpot of some of our most popular lottos, to give you the chance to win bigger. Because we offer lottery betting, we're able to be far more flexible with prize money, as our jackpots are not dictated by ticket sales. Discover more about lottery betting.